Local Friends of IANDS (FOIs) groups are located throughout the world. Click on this link to find one near you. Campus Friends of IANDS groups are located on college campuses. 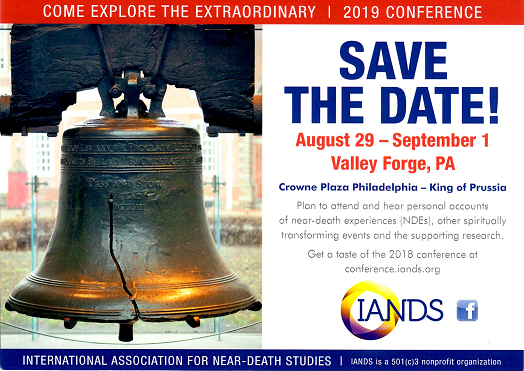 IANDS groups can be found in communities around the world, meeting to talk about and share near-death experiences, questions about death and dying, and the latest information from NDE research. Use the listings below to find the group nearest you. Note: Meeting dates, times and places are subject to change. Always check with a local group contact to confirm. If there is no support group convenient to you, you may be interested in starting a new group. *Note to Media Representatives, Filmmakers and Researchers: It is IANDS policy that all media, film and research requests first be directed to the appropriate IANDS Representative. Select the appropriate contact below. For Media and Film: Contact Sandra Martin at smartin@bitbroadband.com for review and approval prior to solicitation for filming and/or interviewing. For Researchers: Contact Marjorie Woollacott at mwool@uoregon.edu for review and approval prior to solicitation.